Josh Whiten is part of a multi-disciplinary team of strategy, execution and growth experts. Josh is a Partner in Digital Work’s Strategy, Leadership & Innovation practice, helping clients to transform and accelerate their digital marketing activities. 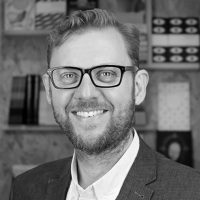 He is a multichannel digital marketing expert with 14 years digital experience backed by 25 years wider marketing practice, working across verticals that include travel, B2B, manufacturing, professional services, healthcare, property and ecommerce. Josh is passionate about digital marketing and specialises in improving business performance through enhanced end-to-end customer experience, delivering consistent and relevant user experiences across multiple channels for higher conversion and commercial benefit. He helps clients to develop digital strategies that meet their unique goals, such as raising brand awareness, increasing traffic, lead generation, growing revenue and building brand advocacy. Josh has an entrepreneurial approach and excels in analysing seemingly complex situations, identifying proven strategies for success and communicating these to wider teams and stakeholders. Josh is an experienced leader and a recognised expert in his field through his active thought leadership and public speaking at events alongside speakers from Yahoo, Feefo, Booking.com and Google. He was recently elected a Fellow of the Chartered Institute of Marketing (FCIM). SEO, PPC, social media, display, native, programmatic and email. Building & leading in-house marketing teams and managing agencies. Integration with digital platforms through conversion rate optimisation, personalisation, CRM and marketing automation. Using analytics insights to form data led decisions. Multichannel benchmarking to improve customer experience. Planned and managed public health digital media campaign achieving 250% improvement in outcomes, nominated for four national UK marketing awards. Launched a disruptive start up in the legal sector with a £1.2 million media budget, leading to his white paper on digital disruption being published by Open University Business School. Grew online audience for leading French holiday website to achieve top 3 rankings for all key search terms, generating 1.2 million page views and 125,000 unique visits a month. Qualifying as one of the UK’s first omnichannel consultants for the Networking Business Initiative backed by Sitecore.